Firetrust announces MailWasher Pro 4.0 with powerful enhancements allowing for smart filtering and automated-spam deletion using identical fingerprinting identification. Built-in Intelligence learns and adapts to provide maximum spam protection over time. Firetrust Limited, provider of award-winning anti-spam and email security solutions, today announced the latest release of MailWasher® Pro 4.0, a uniquely designed anti-spam tool that provides additional protection for businesses and home users from unsolicited and unwanted emails. The ever-increasing rise in spam has prompted both business users and consumers to desperately find a solution that can keep pace with spam as it rapidly evolves. MailWasher Pro 4.0 provides individual users with a powerful weapon that increases in accuracy over time to stop spam from invading their email inboxes. In addition, MailWasher Pro users are further empowered and protected through FirstAlert!™, a subscription-based companion to MailWasher Pro that leverages the quickly-expanding global community of users actively reporting spam, and enabling accurate spam identification and elimination for maximum protection. # Learning Filters: Intelligent filters that learn to identify good email from spam, and deliver a robust and efficient approach to solving the barrage of unwanted email. # FirstAlert! : A global network of users who actively report spam and interact with the database in real-time. Any messages in the users’ email that correspond to identical fingerprints in the database are automatically identified and eliminated. MailWasher Pro provides the easiest-to-use and most effective spam filter available. Unlike other anti-spam solutions, which are integrated into the email client, a key benefit of MailWasher Pro is that it works outside the email client, so users are better protected and eliminate the risk of downloading unwanted messages or viruses and worms. By reviewing and deleting content at the email server, users are protected from objectionable content including graphics, web bugs are rendered inactive, bandwidth is protected, and viruses and malicious script is stopped from spreading. In addition, users can preview, delete, blacklist and even create an “invalid email address” message and bounce the unwanted email back to the spammer making it appear that their email address no longer exists. 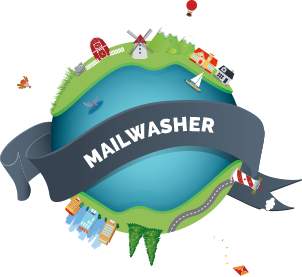 Presently, MailWasher Pro is available on stand-alone PCs and laptops. An enterprise version of MailWasher for use on server networks is currently available as a beta version. Those interested in participating in the beta testing of MailWasher Server can contact Firetrust for more information and installation set up. MailWasher® and Benign® are registered trademarks of Firetrust Limited. **All existing MailWasher Pro users are invited to subscribe to First Alert! at a reduced rate of U.S. $7.00 for a one-year subscription. After the first year the price increases to U.S. $9.95 annually.